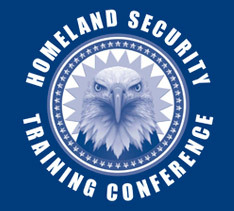 The Homeland Security Training Conference is sponsored by the Department of Legal Studies, The University of Mississippi, the Southern District and Northern District of the U.S. Attorney’s Office, and the Mississippi Department of Homeland Security. Dr. Robert Pape – Dr. Pape is from the University of Chicago and will address Suicide Terrorism. D’Wayne Swear, Special Agent NCIS (Ret) – Special Agent Swear will address Active Shooters. Honorable James Letten, U.S. Attorney, Eastern District of Louisiana. He will address Prosecuting Terrorists. Dr. Steve Mallory, Professor and Interim Chair, Department of Legal Studies, The University of Mississippi. His areas of interest include Drug Enforcement, Administration of Justice, Organized Crime, Criminal Justice Statistics, Ethics, and Homeland Security. Dr. Michael Wigginton, Assistant Professor of Criminal Justice. His areas of interest include Terrorism, Law Enforcement, and Homeland Security. Dr. Wigginton will address The Radicalization Process. Ms. Lorrie Wood, Southern Poverty Law Center – Ms. Wood will address Domestic Terrorism and Hate Crimes. Donnie Reay, Executive Director, Texas Border Sheriff’s Coalition – Mr. Reay will address Texas Border Security.